I've been creating hand drawn custom fonts for a long, long time. Since my sketchnoting started in 2007, I've wanted to convert my hand-drawn letterforms into a proper computer fonts, so I could sell my fonts for others to use on their projects. The timing just never worked out right, until now. Yep, very soon, Sketchnote will become an honest-to-goodness font available for purchase! There is a bit of work ahead, but I'm excited. The font will include variety of glyphs and some nice little dingbats as well, though the details are still being figured out. If you would like to be alerted when the font is available for purchase, leave a comment and I'll add you to the list. Very cool, Mike and Delve! Excited to see this not only available, but in my collection and out in the wild. I hope it will be deployable as a webfont with TypeKit. What an exciting little project, pls do let me know too. All the best, hope your pricing wont be expensive. Yeeeeaaaaaahh! Can't wait to get my mits on this. Please add me to the list too. Oh, what fun! Yes, please do let me know when it becomes a full-fledged thing. Please add me to the list, can't wait! I'd like to know when it's ready, too. Looks really great. I look forward to using it in my future presentations. Thanks everyone - I'm creating a list and will contact you all when the font is ready for release and sale. I don't have a price set yet, but aim to make it a great value for whomever chooses to buy it. Yes please let me know. Hey Mike, I'm excited too; the Sketchnote font is going to be fantastic! Yes, there is some hard work ahead but it will turn out great. While it is too soon to determine what the price will be, I do agree we can certainly make it a good value for the price (I'm hoping we can pack it full of lots of type goodies). In the meantime, perhaps we can post updates here and elsewhere so folks can see how it is coming along. Sign me up! I need a font like that for future projects. Although, having read your post I'm really thinking of creating my own font too... Original is original. Please keep me updated on the font. It looks great in caps... I look foward to seeing the littlies and other dingbats. Thanks Mike. I'm so excited! Mike I know your "Sketchnote" font will be AWESOME, but I will miss your personality with each sketchnote you create. What a joy it has been to discover you and your sketchnotes. I would LOVE to have your custom font! Awesome! Please add me to the list. Put me down. Sign me up. Let me know ASAP. If you have the font available, just email me as I'm a user of other things like copydoodles and I'd love to have your font as well. Thanks for a great blog and great work. This is the kind of stuff I like to use in my personal marketing campaigns. Great Job. Hey Mike, how's the SketchNote font coming along? When will it be available? Working on a project and would love to use it. Thanks! BTW - please add me to the list. Noland - still in the early stages on the font. goal is to have the font ready by the fall, if all goes well. Please add me to the list for this new font too. Thanks! March 13, 2011 | Bob H.
Great stuff. Add me to your list. I just purchased a new iPad and I wanted to do this on it, but for some reason, I can't so I'll just do it on this DELL and say, Great Stuff. Please let me know when this font is ready too. I'll totally use it here in Brazil. Daniel - my goal is to make this font a fully functional font with as many special characters as I can manage to add and still get it done reasonably soon. May I ask you to point me at a resource that shows all of the characters which are important to Brazilians? That would really help! I'd like to be notified when the font is available. Please let me know when Sketchnotes is available. Totally awesome! Can't wait! Please let me know when available. I'd like to be notified when available. Looks great. Hey Mike, anything new on your Sketchnotes font? When do you think it will be available? Busy summer Jeff. 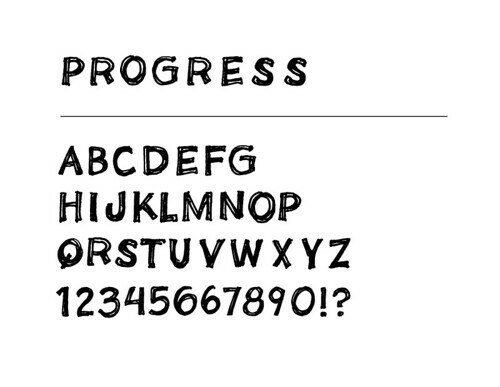 Font is still on the schedule, but going slower than anticipated. Thanks for checking in! How's the font coming? I'm looking forward to it! Starting back up again on this - thanks for asking! That was the response I was waiting for Mike :) Such a great style. Perfect for a font. Is the font ready for purchase? JC not yet - aiming for end of year 2012. Please alert me when the font is ready for purchase. Thanks. Just got your "The Sketchnote Handbook" book. LOVE IT so far! Can't wait to purchase your font as well. Happy 2013!